With Thunder Bay vacations from Toronto, enjoy a family vacation, or a unique Ontario vacation away with friends or loved ones. 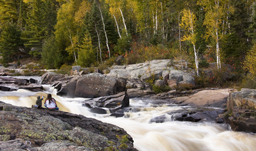 Home to Lakehead University, Sleeping Giant Provincial Park, Lappe Nordic ski area, and plenty of history, Toronto to Thunder Bay vacations offer something for everyone. Rest up at the Best Western Plus Nor Western, Comfort Inn Thunder Bay, Days Inn Thunder Bay North, or Valhalla Inn Thunder Bay and be ready for your Thunder Bay vacation. Whether a natural landscape or cityscape is your preference, Thunder Bay offers great Ontario vacations. To book your Thunder Bay vacation from Toronto, call 1-800-665-4981 and speak with one of our travel experts.